Apple iOS car integration is coming to loads more vehicles now, thanks to a firmware update that'll make CarPlay available through Pioneer's popular aftermarket in-dash infotainment systems. Apple is at long last jumping into in-car "infotainment" systems. As we recently saw in a Volvo demo, CarPlay basically puts iOS in your car's dash, allowing you to access iOS apps like messages,, music, and phone in a more familiar interface. 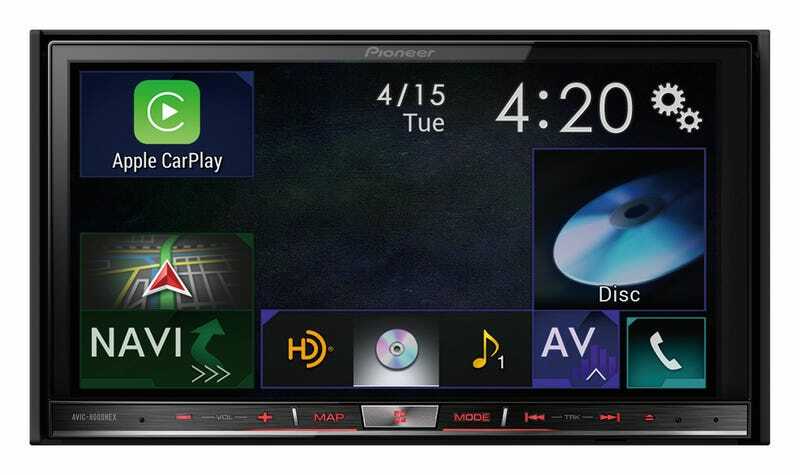 The firmware update will bring CarPlay to five of Pioneer's NEX in-dash systems sometime early this summer. According to Pioneer, after the update, CarPlay just launches when you plug in your iPhone. We haven't actually seen a demo of the Pioneer CarPlay integration in action, but it appears to be refreshingly simple. It's not an app that needs to pair with your phone, it just works. Some of the more intricate infotainment systems out there are needlessly complicated, much like the horrible jargonized name the industry has given them.